If there were a word to describe Stephen’s teen years, it would probably be “overcommitment.” The son of a pastor to a huge church in Tennessee, he felt a lot of pressure to fill the church’s serving needs when it wasn’t school hours. “It was exhausting. Our church had Sunday morning [and] evening, Monday evening and Wednesday evening services,” says Stephen, “It was every week. I was doing media, running a camera, working with the lighting. I was always doing something. It was a lot.” He knew he was being helpful, but the load still took its toll. “I got burnt out after a while,” he says. When Grace Church opened up a second, smaller location in Braintree, MA, Stephen and his family were excited about a location closer to their home. In their excitement, they began to desire to connect with people a little more. “It was a catalyst to get us serving,” says Stephen, “It was a good fresh start.” He recalls a conversation with the Grace Church Braintree Kids Director, Nicole, that got his attention. She shared that men are only half as likely to serve in children’s classrooms as women during weekend services, even though there was just as much of a need to have male figures as teachers. 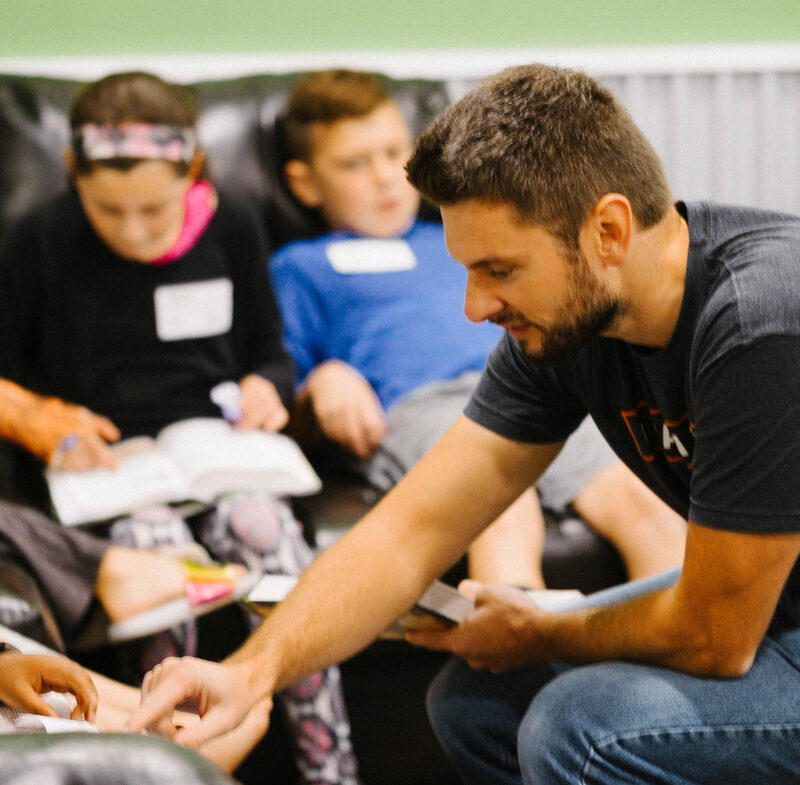 Because of the flexible scheduling at Grace Kids, Stephen can serve at just one service every other week and can still attend a service with his wife on the weekends that he teaches. “That was really important because I wanted to be able to sit in service with my wife and be able to experience church,” says Stephen. Interested in becoming a part of the Grace Kids team? You can get started here!